Special areas continuously have to be observed but monitoring conditions may vary. 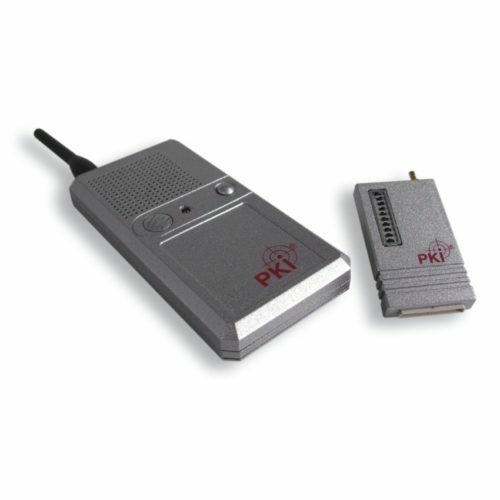 For this task we, the PKI Electronic Intelligence GmbH, have developed the state-of-the-art PKI 2295. For any government agency this device is indispensable. The remotely controlled transmitter offers various functions. Its output power can be adjusted from 10 to 40 mW according to requirement either for shorter or larger transmitting distances. The lower output power will allow an extended battery life time at a reduced transmitting distance, while the higher output power provides a maximum of transmitting distance with a limited operation time. Furthermore a remotely controlled on/off switch is provided in order to save battery capacity and/or reduce the risk of being detected.